This competition is completely non-profit. Any donations go directly to prizes for the runners. What you see is what you get. Demo content is subject to copyright of their respective owners. Do not copy/mirror without their explicit consent. Do not mirror this site without my explicit consent. Fastest way to contact me is on twitter by mentioning @js1k or @kuvos. Mail on this domain is not checked unless explicitly stated for a specific address. Subscribe to the mailinglist to be notified of new competitions, new demos during a competition, and/or other news related JS1k. This is a nearly zero volume mailing list unless you opt-in for the demo updates, obviously. The demo updates are fed through an RSS feed, so if you're only interested in that just subscribe to the RSS feed instead. 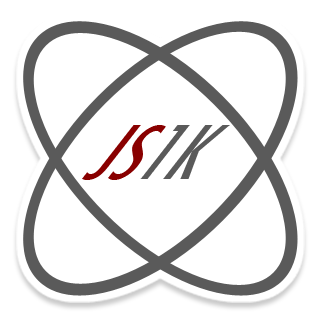 All demos and other announcements are also (and primarily) published through the official @js1k twitter account. We're using the subreddit /r/js1k for discussion and announcements. FTR: I run the subreddit from my /u/played_today account. Help us improve the site by updating meta data of your submission. This allows you to edit descriptions, add meta data that wasn't possible during the actual compo, add links to blog posts, or update your social links. The website and logo design since 2012 was offered by (Mark Squires from) NodeJitsu. Since that company has been bought and sunset a few years ago and I've removed the credits. I'm still thankful for that donation. The awesome yearly logo mods are created by Diego Goberna (@feiss).